An attack by the Syrian Islamist militia affiliated with Al Qaeda upon a small US-trained mercenary force sent into the country has staggered the Obama administration, while underscoring the immense internal contradictions and outright duplicity of its policy in the region. The attack came early Friday against a Syrian militia known as Division 30, which has been the central focus of a $500 million program initiated by the Obama administration and administered by the Pentagon to arm and train a US-controlled proxy force, ostensibly for fighting against the Islamic State of Iraq and Syria (ISIS) inside Syria. Launching the attack was the Al-Nusra Front, the Syrian affiliate of Al Qaeda and the most powerful of the Islamist militias that have been fielded in the Western, Saudi, Turkish and Qatari-backed war for regime change to oust the government of Syria’s President Bashar al-Assad. Friday’s attack came a day after the Nusra Front captured the head of Division 30, a Syrian army defector Col. Nadim al-Hasan, and another officer known as Abu Hadi, who was in command of the small band of US-trained fighters who have been funneled back into Syria from Turkey. Another six fighters were also taken prisoner. The Pentagon initially issued carefully worded statements claiming that none of the US-trained fighters had been captured. These claims were dashed by Saturday, when the Syrian Al Qaeda front released a video in which the captured fighters appeared. One of them, speaking to the camera, explained how US trainers had, after a month and a half training in Turkey, provided him and others with M-16 assault rifles and cash and sent them into Syria. The US-trained fighters are hardly a formidable force. According to the Pentagon’s own admission, barely 60 have been vetted and trained since the program was first proposed nearly a year ago, with the stated aim of fielding an army of 15,000 US-backed mercenaries. The difficulties encountered by this program stem both from the inability of the Pentagon to vet Syrian fighters, who are overwhelmingly drawn from Islamist extremist groups like the Nusra Front, and the unwillingness of these same fighters to be identified as US-paid mercenaries. The intervention of US warplanes bombing Al-Nusra positions was apparently the only thing that prevented the complete overrunning of Division 30, which has provided its members as a stable for Pentagon recruitment. What is most striking about the event is the unconcealed dismay and surprise on the part of both the US-backed militia and Washington itself at being attacked by the Nusra Front. The statement could not be clearer. 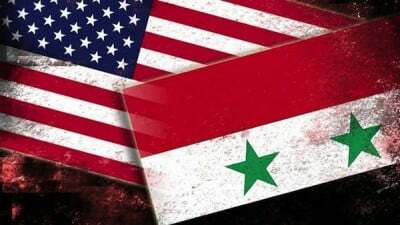 The force being trained by the US military is attempting to operate as part of a “united front” with the Syrian affiliate of Al Qaeda, which the American people have been told for nearly 14 years represents the foremost threat to the US. This same essential truth was driven home by the reaction of US officials to the Al-Nusra attack. “In Washington, several current and former senior administration officials acknowledged that the attack and the abductions by the Nusra Front took American officials by surprise and represented a significant intelligence failure,” the New York Times reported Saturday. Turkey’s aims in pursuing this goal are two-fold: to escalate the four-year-old war for regime change in Syria and to crush the attempts by Kurdish groups to carve out their own autonomous region in this border area. Since announcing it was joining the fight against ISIS and allowing the US Air Force to use Turkish bases to launch strikes against ISIS, Turkey has concentrated its own bombardments not on the Islamist militia, but on the Kurds who have been fighting against it. When the Times writes delicately about Division 30 leaders hoping to “help less radical Syrian insurgent groups” seize control of this buffer zone, it is speaking of the Nusra Front, the Al Qaeda affiliate and its closest allies. These forces have already managed to seize hold of a substantial part of this territory, thanks to arms and funds poured in by Washington’s main regional allies: Turkey, Saudi Arabia and Qatar. Washington’s apparent objective was to rely on the Nusra Front to serve as its principal proxy force while utilizing the US-trained mercenaries of Division 30 to influence the Al Qaeda-affiliated militia. The fighting at the end of last week has thrown this strategy into disarray. This is only the latest fiasco produced by the US intervention in the region. Late last year, two of the last remaining “moderate rebel” groups backed and armed by Washington collapsed in the face of the Nusra Front. The groups voluntarily disbanded, ceded all of their US-supplied weapons to the Al Qaeda affiliate and released their members to join it. Among the sophisticated US weapons turned over to the Nusra Front were TOW anti-tank missiles and Grad rockets. In the midst of the latest debacle with Division 30 and one year after the Obama administration began its bombing campaign against ISIS targets in Syria and Iraq, US military and intelligence officials have told the Associated Press that both the CIA and the Defense Intelligence Agency have concluded that the strategy has resulted in “no meaningful degradation” of the number of fighters fielded by ISIS. US intelligence puts this number at between 20,000 and 30,000. Nor have any significant gains been registered in retaking Iraqi territory that has fallen under ISIS control. This does not mean nothing has changed. The escalation of Washington’s criminal and predatory intervention in the region has left thousands more dead and maimed, driven many more from their homes and stoked sectarian divisions as a means of dividing and conquering both Syria and Iraq. In the process, the Obama administration has succeeded in exposing the lies used to promote this intervention. What has been sold to the American people as a war against terrorism is in actuality being waged in a de facto alliance with Al Qaeda. Its real purpose is to oust a Syrian government allied with Russia and Iran and impose a US puppet as part of a strategy to impose US hegemony over the entire Middle East and prepare for global war. With the successive failures of US attempts to field proxy forces in this struggle, there is the growing likelihood that the US military will be thrown directly into another major bloodbath.